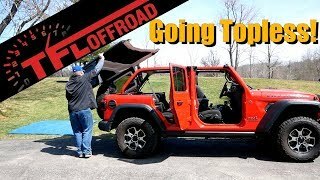 Jeep has been on the roll throughout the past couple of years. Being oriented solely on the crossover SUV and off-road vehicles segment, the company managed to synch its lineup with the growing public demand, which resulted in booming sales. The upcoming model year will be solidifying on this success by bringing new and updated models to the market, and we are going to tell you all about them. For the 2019 model you can expect to see an updated subcompact crossover. 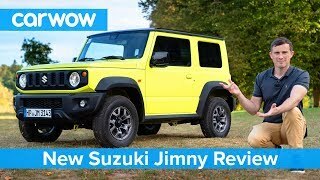 It is named Jeep Renegade and includes multiple exterior and interior changes, as well as a couple of new engines. 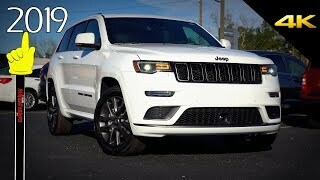 2019 Jeep Cherokee is a mid-size SUV that a redesigned exterior, more comfortable interior, and an all new available 2.0L turbo engine. Being one of the most iconic models, Wrangler gets the treatment of modifications way more often than any other Jeep. To show off that there is really no limit to how far these updates can go, the manufacturer came up with an absolute off-road monster concept called Sandstorm. 2019 Jeep Grand Cherokee gets only minor changes, including exterior refinement and interior modernization. 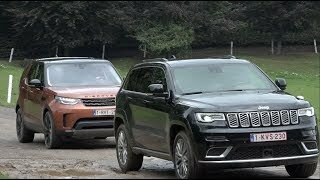 The vehicle features a standard 3.6L V6 engine and comes in 12 trims to choose from, starting with a base Laredo and topping with premium SRT and Trackhawk. 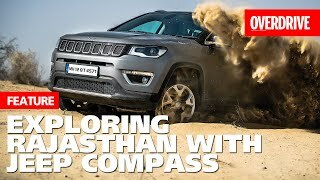 2019 Jeep Compass is a number of small changes in its third model year, such as a new Grey exterior color, a standard 7-inch infotainment system and two new styling packages. JEEP WRANGLER Sahara is a premium trim of the fourth generation Wrangler that is designed to stand out in the model lineup. 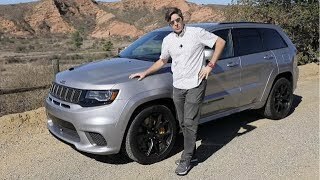 Jeep Grand Cherokee Trackhawk is the top trim of the Grand Cherokee featuring outstanding performance. With 6.2L supercharged V8 engine delivering 707 hp and 645 lb-ft of torque, it can go from 0 to 60 in 3.5sec, which makes it one of the fastest SUVs in the world. 2019 Jeep Wrangler Rubicon is an off-road version of the iconic model that is expected to remain mostly unchanged in 2019. 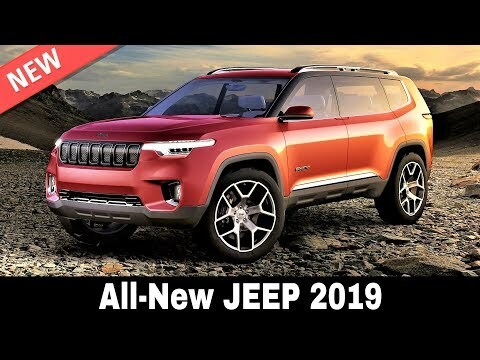 The release of Jeep Yuntu is rumored for May 2019. Though, the new 7-seater seems intriguing for the US market it will be exclusive in China. 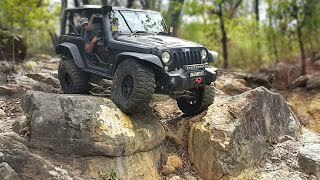 Should have had a manly voice narrating a Jeep video! Hi, Phillip. Thanks for your suggestions. I admit I did miss Grand Commander, but in my defense, it is sold exclusively on the Chinese market. 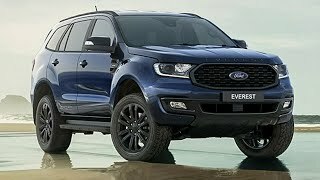 As to the Gladiator, it is going to be a 2020 model. I see jeep has dropped its 3lt eco diesel engine from the grand Cherokee line up. They need to make that a pickup!! 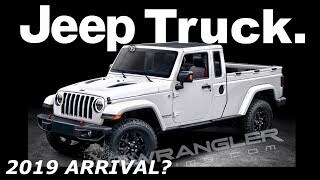 Here is a link to the all new 2020 Jeep Gladiator pick up truck! 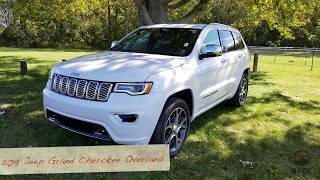 I have the new 2019 Jeep Grand Cherokee Overland. And oh my goodness! It’s the best car on the market. Beats Land Rover Range Rover( The Jeep actually starts). 😂. I will always be a Jeep fan. 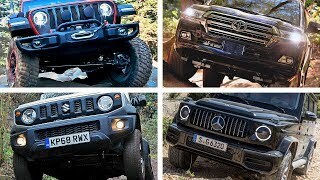 Which is the best Jeep in 2019? Appreciate your feedback. Are there any particular 2019 or future models that ignite your interest? I'm with second jeep no problem. 13 jk now 18 jl no problem. Ton Ka and what makes you say that.. In this case, I wish you many many thousands of happy miles behind the wheel of these Jeeps! Not for awhile. My wifes Grand Cherokee and my Wrangler are paid off. Thanks, TJ! Glad you liked it! 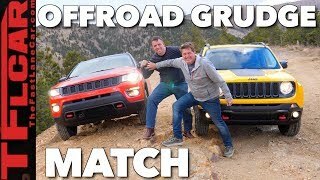 Any plans to get a new Jeep in 2019? In korea. FCA Korea sales grand cherokee with 3-trims and 2-engins. Hi. Thanks for your insight. How long have you been a Grand Cherokee owner? What do you think about the car? It certainly has a shot. Good luck winning that race! Automotive Territory: Daily News Not yet. My friend is looking to buy one. This SUV will smoke my Corvette. I want to test drive it too. Hah ha ha ha. Thanks for sharing your passion for the model. Have you had a chance to drag race behind the wheel of this beast? H, Israel. Thanks for your feedback. I am glad you enjoyed the video. Stay tuned for more! soooo sick of the pre fraud ads. Hi there. I see you have a Jeep o your profile image. Do you drive a Wrangler? 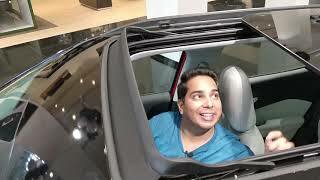 The Runagade is looking like a Kia soul.. I'm not a big Jeep fan, it was ok. I prefer the show over the Jeep's. I did catch the Cadillac one yesterday, I will being the market if they are finally going to offer one of those 2 new modles that have been concept for the last decade. Lol. Nope, it's all about Jeep here.did you like the 2019 lineup? 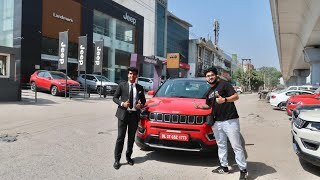 I was just a bit shocked because I new I had clicked on a Jeep story and the 1st one looked like a Kia.. I'd say it's much better looking. The Soul is dying for a redesign. Hi there. The info about Grand Wagoneer is still very vague. It will likely be displayed in 2019 and released as a 2020 MY, but this still hasn't been solidly confirmed. Items still a fiat owned junk. +GJ F So it is!!! I own one and it's certainly not junk. One of the best I've ever had. I speak from experience. Fiat hast rescued Junk Chrysler Jeep, now Jeep ist Back ! Thanks to fiat- this is reality!!! The Renegade looks cute as f***. Thanks for the suggestion. I will look into this topic. Automotive Territory: Daily News lol. Perhaps put a list together of cutest cars by category. The Renegade could be the subcompact suv choice. And other category suggestions would be like the Fiat 124 as convertible or VW beetle as the cutest cheap coupe and the Lexus LF as the cutest baller coupe. The choices and categories are unlimited. Have fun with it. I know. That’s why I said that. I’m sure my niece will love it. For some reason I'm still waiting for #10 ? +Automotive Territory: Daily News should be no confusion it can be the new jeep pick up truck supposed to be on sale next year. 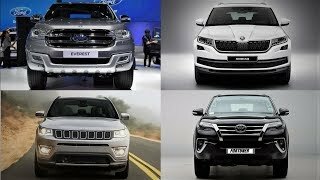 Can you do a top 10 of cheapest cars that will go onto sale this 2019? Hi. Thanks for the suggestion. I will definitely consider it.